When it comes to convenience, fishing doesn’t get much better than with the Extendable Fishing Rod. It’s quick to assemble, and when not in use or while traveling between fishing spots, it’s easy to retract without needing to wind up the line or remove the hook. 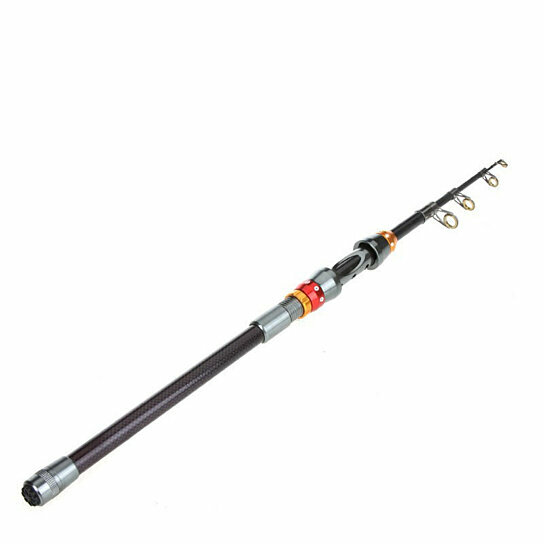 This 6 foot adjustable length fishing rod is portable and easy to assemble. Suitable for fishing at home or on vacation from shores, rocks, and reefs. Made from carbon fiber and finished with a nice solid reel fitting. (Reel not included). A perfect gift for casual fishermen and enthusiasts alike.